Westie barbers No.5: Coffee with your cut? 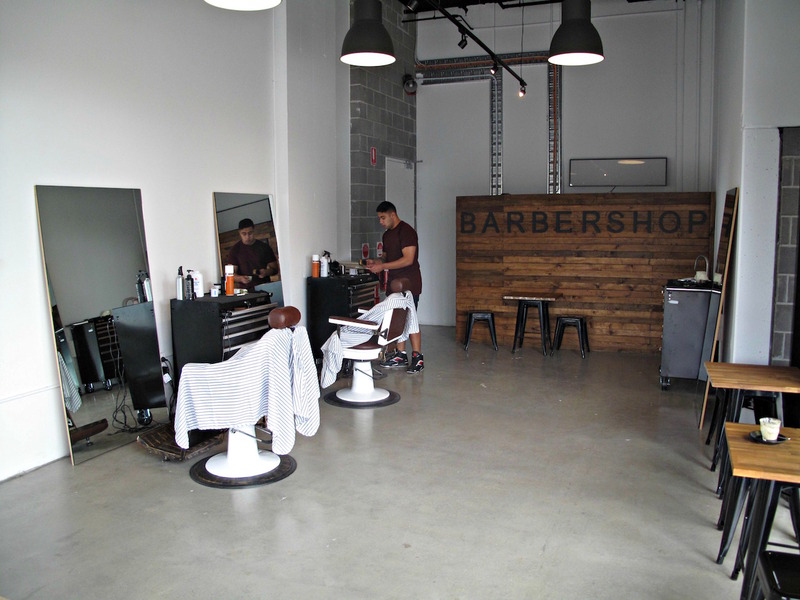 Being a cheapskate, I normally avoid hairdressers or barbershops with a chic look – polished cement floors, like that – as they’re usually ridiculously over-priced for my minimal, buzz-cut needs. 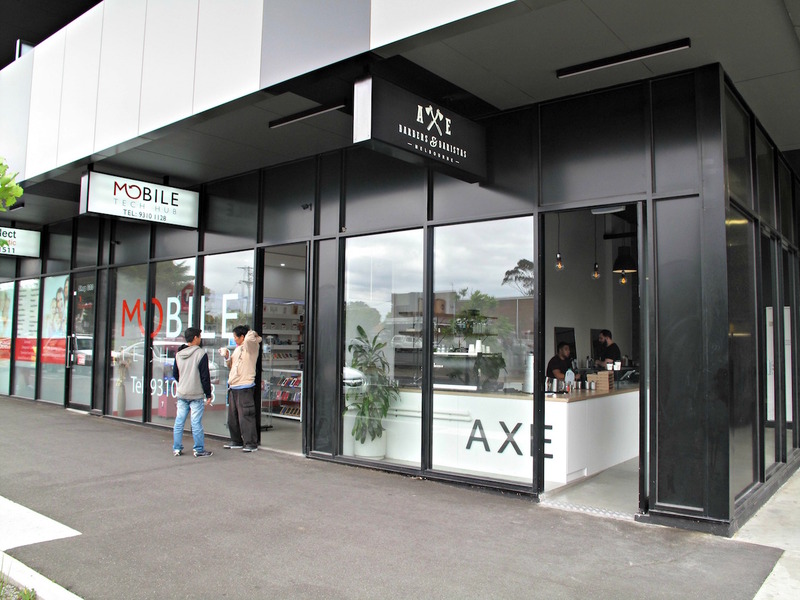 But at new Sunshine outfit AXE Barbers and Baristas I do good. And I get a fine cafe latte, to boot! 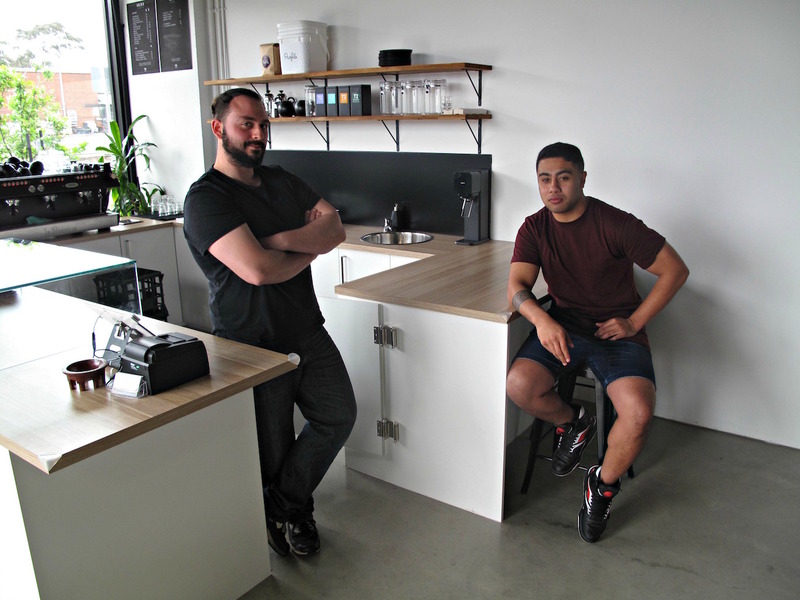 … but that changes when I meet barista Engin (left) and barber Xavia, and learn that the name is made up of their initials and that of a third partner, Allan, who I don’t meet. 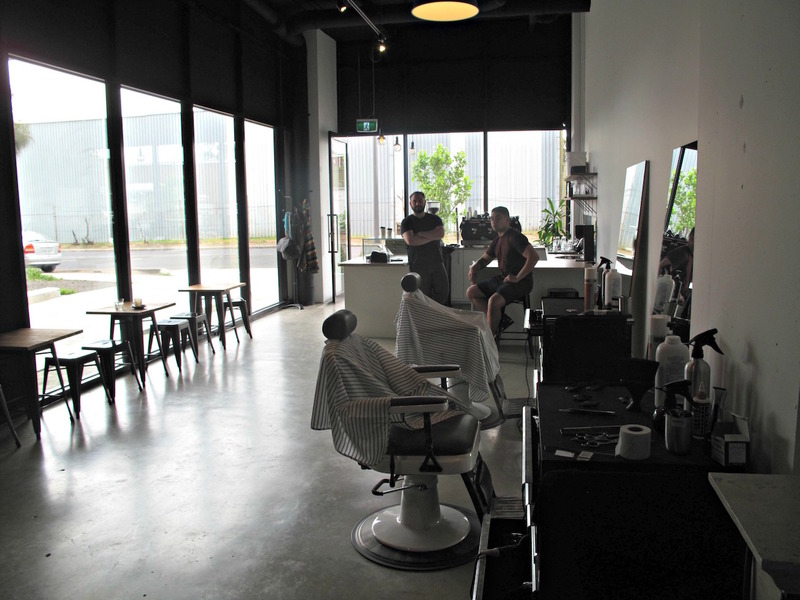 Xavia provides me with an expert buzz-cut for a price not far removed from those charged by the St Albans and Footscray Vietnamese hairdressers I usually use. These blokes will do well, I reckon. There’s not a lot by way of service businesses at the Gold Leaf end of Hampshire Road, but there is new apartment activity representing potential customers. There’s parking close by at both Hampshire Crescent and Sunshine Plaza. Check out the AXE website here for hours and prices.